Color Friday is: Dark Blue! 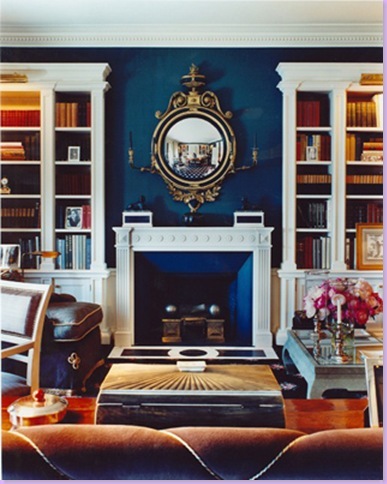 I love the fireplace color – it appears to be slightly different than the wall color, which is a neat touch. I thought dark blue was appropriate in honor of Father’s Day – doesn’t that just seem like such a “dad” color? Here are blue items that, just for this week, have zero feminine qualities. Some even make great dad gifts. Many of them are inspired by my own awesome dad, who has an affinity for bourbon, music, and golden retrievers. Enjoy! Happy Father’s Day…enjoy the weekend! ← Find of the Week: Mint Green Sideboard!